This is the original tobacco flavor in a pre-filled tank by Vuse. The added convenience of the pre-filled refill tank avoids the often messy need to pour in your vape juice and this Vibe Original Flavor has that classic tobacco flavor. 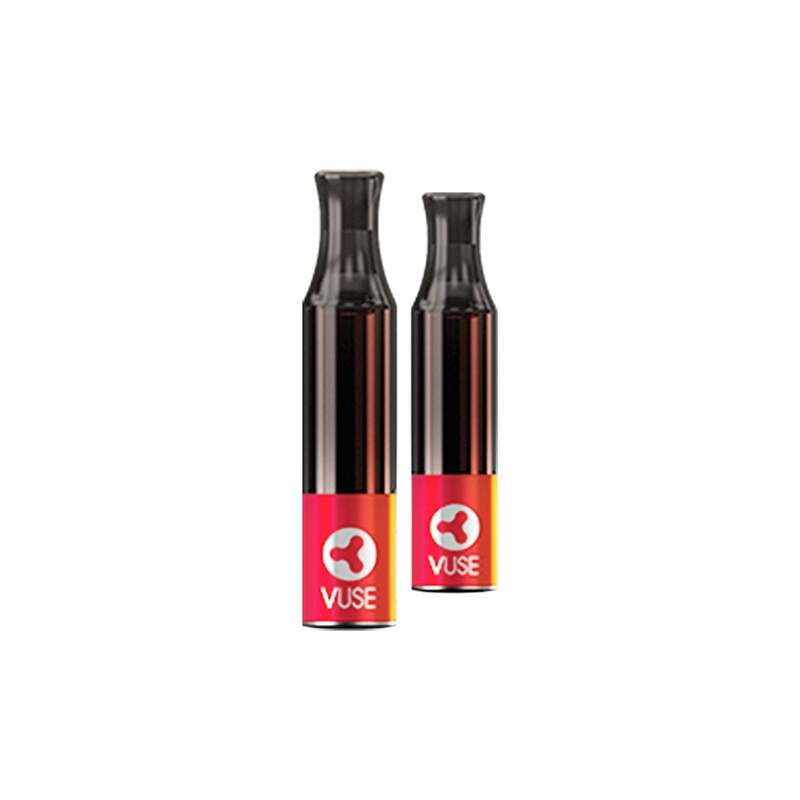 The Vibe by VUSE is a convenient and innovatively designed vape kit. It features a handy screw-on system which makes it easy to switch between pre-filled tanks, which come in a range of flavors including this tempting fruit and cream option. Love it. Best out there. Great price. Great price for two pre-filled tanks, good flavor and tanks last a long time. It lasts longer than other tanks I've tried. Good and satisfying flavor - lasts long. Wish the vibe were able to be refilled with our own juice. Gets expensive having to order refills all of the time. Love the Vibe. Could wish the tanks wereca bit bigger, but you can't have everything. Great e-cig.! they are the best!! accurate fill and they always work!! I was using the vuse solo for about 2 years and I really didn't like it. The taste is okay but the cartridges leak into your mouth and tastes horrible along with burning my tongue. Seriously come on baby sometimes upon opening the cartridges they're covered in the liquid. I tried the vuse Vibe by accident and totally fell in love with it. The tank last me for a minimum of two to three days, it never leaks, and it has a nice hit. I totally love it. Vuse vibe is my vape product of choice, so glad it’s back. Really missed this. Now I am Happy again. Best flavor and they last longer than any other similar products. Vuse Vibe is my choice of vapes again. Highest nicotine content, best product to get your money’s worth. Glad they are back good flavor nice smooth draw. Stock will be hard for a while. These tanks are my favorite. When Vuse had the recall I tried so many different pens/mods/juices and nothing compared. Ordering from ET also makes things so much easier. The shipping is amazing, the free shipping is still really fast. Thank you ET for the excellent customer service!!!. I really enjoyed these. Does anyone know why they quit selling them? That's reason for two stars. The tobacco flavor was really good, affordable and lasted a while. I've tried the Solo and was sorely disappointed. I won't be buying those. I don't understand why you took away the original vuse cartridges, there was nothing wrong with them just the battery.. I had one original left and it worked fine on the new battery.. The cartridges you have for them now don't last but a couple of hours, the medal rod you have in it takes up a lot if space.. I started the vuse to quit smoking but now can't afford the new cartridges so what's the point.. I have not smoked cigarettes in nine months and that's thanks to the vuse but I will no longer use the vuse cause the cartridges don't last and to expensive.. You list a customer!! !